Nkosazana Clarice Dlamini-Zuma, sometimes referred to by her initials NDZ, is a South African politician and anti-apartheid activist, currently serving as Minister in the Presidency for the National Planning Commission for Policy and Evaluation. She was South Africa's Minister of Health from 1994–99, under President Nelson Mandela, and then Minister of Foreign Affairs, under presidents Thabo Mbeki and Kgalema Motlanthe. She was moved to the position of Minister of Home Affairs in the first term of former President Jacob Zuma, with whom she was previously married for 16 years. Barnabas Sibusiso Dlamini was a Swazi politician who served as Prime Minister of Swaziland, from 1996 to 2003 and again from October 2008 to September 2018. Obed Mfanyana Dlamini was Prime Minister of Swaziland from 12 July 1989 to 25 October 1993. Sotsha Ernest Dlamini was Prime Minister of Swaziland from 6 October 1986 to 12 July 1989. He was born in Mankayane. Prince Bhekimpi Alpheus Dlamini was Prime Minister of Swaziland from 25 March 1983 to 6 October 1986. Prince Mabandla Ndawombili Fred Dlamini was Prime Minister of Swaziland from 23 November 1979 to 25 March 1983. Inkhosikati LaShongwe was Queen Regent of Swaziland between 21 September 1982 and 9 August 1983. She was a wife of king Sobhuza II of Swaziland, and with him had one child, Prince Khuzulwandle Dlamini. 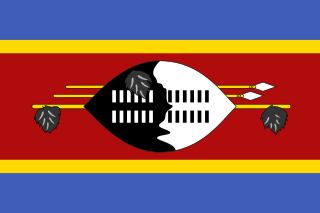 Swaziland sent a delegation to compete at the 2008 Summer Olympics held in Beijing, People's Republic of China from August 8–24, 2008. This was the Kingdom's eighth appearance at a Summer Olympic Games. The Swazi delegation to Beijing consisted of four competitors, two track and field athletes; Isaiah Msibi and Temalangeni Dlamini; and two swimmers; Luke Hall and Senele Dlamini. None of the four advanced beyond the first round of their respective events. In Eswatini, no king can appoint his successor. Only an independent special traditional Council called the Liqoqo decides which of the wives shall be "Great Wife" and "Indlovukazi". The son of this "Great Wife" will automatically become the next king. Bathabile Olive Dlamini MP, is the South African Minister of Women in the Presidency, and leader of the African National Congress Women's League (ANCWL). She was previously the Minister of Social Development. Princess Zenani Mandela-Dlamini is a South African diplomat. She is the elder daughter of Nelson Mandela and his second wife, Winnie Mandela. Amanda Dlamini is a South African association football midfielder. She plays for University of Johannesburg. She represented the South Africa women's national football team at the 2012 and 2016 Summer Olympics. This is a list of foreign ministers of Eswatini. Minenhle Jones, simply known as Minnie, is a South African on-air personality, actress and model. In 2010 she was selected as the new presenter for the SABC 1 music show, Live Amp. Mlondi Edward Dlamini was a South African professional footballer who played for Maritzburg United, as a midfielder. He died in a car accident on 8 October 2017. Amala Zandile Dlamini, known professionally as Doja Cat, is an American rapper, singer, songwriter, and record producer. Based in Los Angeles, she signed a recording contract with RCA Records in 2014, subsequently releasing her debut extended play, Purrr, and series of singles, including “Go To Town”, “So High” and “Tia Tamera”. Doja Cat rose to prominence in 2018 with her single “Mooo!”, which became a viral success on YouTube. 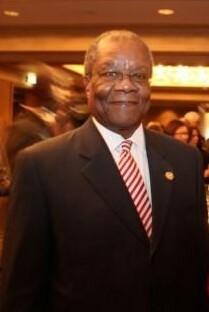 Ambrose Mandvulo Dlamini is a Swazi business executive and the tenth Prime Minister of Eswatini. Prior to his appointment, he served as the CEO of Swazi MTN. This article about a politician from Swaziland is a stub. You can help Wikipedia by expanding it.